Back Row, Left to Right: Nils Swanson, Olaf and Emma Carlson. Front Row: Wesley, Carl, and Elvie. They later moved to Beaumont. There Inga married a local farmer, Charles Fogel. By this time, too, their daughter, Nora, and family had joined them. After she was widowed they moved with her to Chicago to join Edward who was now there. They lived in the suburb of Elgin. Further moves with Nora took them to Iowa where Olof passed away at seventy-one years of age. He had kept up his choir work until the last. Another move was made to Renville, Minnesota where Emma passed away at the age of one hundred years and six months. She had been born on September 13, 1852. She was a quiet woman some years older than her husband who served her family diligently as long as she was able. Erik returned to Canada and worked in the Erickson area until his death, and David returned to Sweden where he married and raised a family. Clarence Edwin Carter was born June 1, 1937, son of David and Maisie Carter of Onanole. Clarence was raised and attended school in Onanole. He served in the Royal Canadian Air Force from 1954 to 1957. Clarence married Lily Byskal (daughter of Mike and Mary Byskal) in April, 1957. 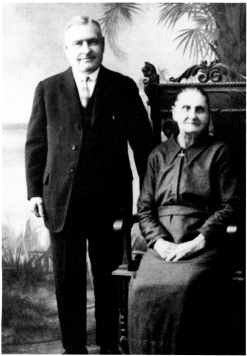 Clarence and Lily resided in Flin Flon from 1957 to 1961, where Clarence was em­ ployed by Hudson Bay Mining and Smelting. His wife was employed by the Royal Bank. They moved to Onanole in 1961. Clarence was em­ ployed by his father in construction during which time he graduated from Red River Community College as a carpenter. After his father's death in 1965, Clarence entered into construction as a general contractor. In April, 1977, Clarence and Lily franchised the Beaver Lumber in Erickson and are currently operating the lumber yard. 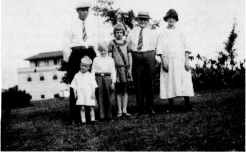 Clarence and Lily raised four children. Kurtis Owen, was born October 14, 1957, in Flin Flon. Kurtis attended grade school in Onanoie and graduated from Erickson Collegiate. He attended Red River Community College in Winnipeg, graduating as an ar­ chitectural draftsman. After a short period in Calgary, Kurtis returned to Onanole and entered into employment in construction. He attended Red River Community College while serving an apprenticeship and graduated as a carpenter. Kurtis is presently employed in the con­ struction business with his father. Kurtis married Margaret Synchyshyn daughter of Steve and Mary in October, 1979. Margaret is presently em­ ployed with the Royal Canadian Mounted Police Detachment at Wasagaming as a secretary. A son, Gabriel Todd, was born to Kurt and Marg on November 4,1982. Valerie Gay, was born in Flin Flon on May 2, 1959.